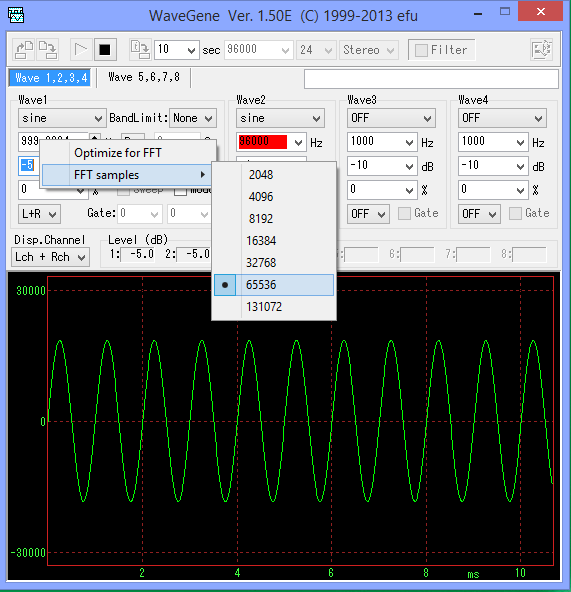 a) Right click on the frequency box and change "FFT Samples" to match the samples you selected in WaveSpectra (see below). 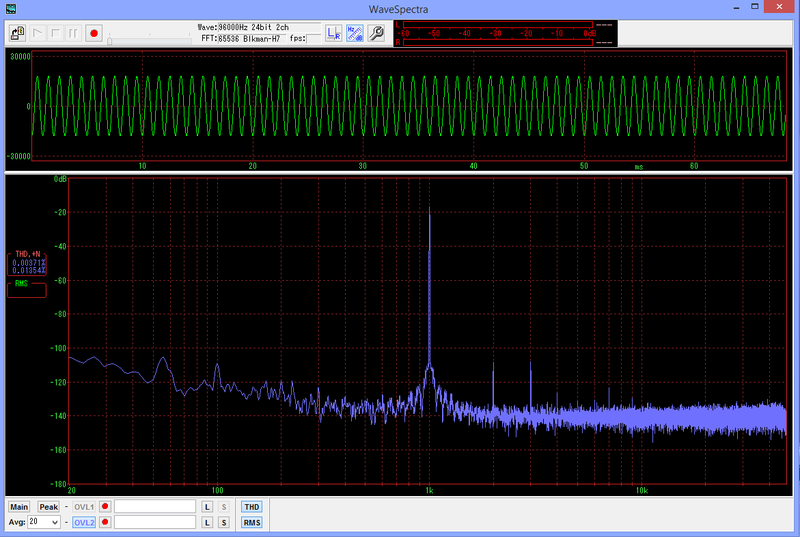 b) Again, right click on the frequency, and select "Optimize for FFT" and you will see the frequency change. 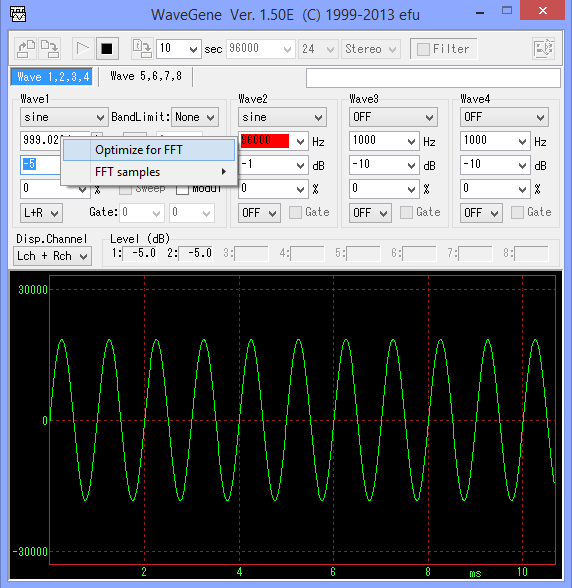 c) Set the output level to somewhere between -3dB and -6dB - but note with some sound cards, the THD+N measurement will get worse due to increased noise as the main signal is reduced in amplitude, but experimenting with this setting will find a suitable optimum. WaveGene is now optimised for THD measurements. a) Select an appropriate FFT window size (sample points) in the settings. b) Select an appropriate window function - for distortion measurements, my understanding is that "Blackman- Harris 7 Term" is the optimum here. 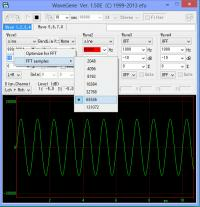 c) Ensure you have "Hz/dB" selected, in order to display the distortion measurements on the left hand side. e) Turn off the main spectrum display by clicking the "Main" button once, this will leave the averaged display. Check the distortion at different sample rates as with some sound cards, the distortion actually increases as the sample rate rises.